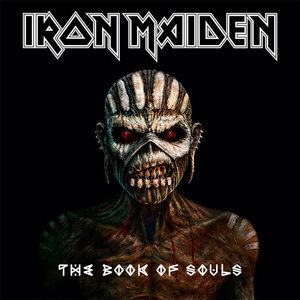 To say that I am at once overwhelmed, apprehensive, and more than a little doubtful of my capability to write eloquently about Iron Maiden’s new album, The Book of Souls, is to say the very least. Perhaps I haven’t said it enough in the past, but among all the bands I honestly deem my favorites only Iron Maiden stands well above the rest —- unquestionably my most loved band of all time, heedless of genre. They’re my most loved for a litany of reasons; for not only their vast array of stunning albums and enthralling songs, but for the astonishing story of their actual band history, the individual personalities involved, their often demonstrated sense of humor, and their steadfast, unwavering commitment to their distinctive stamp on metal —- never chasing trends, never compromising their vision. You could call me a fanboy and I’d likely nod in agreement, but there’s a unique trait among Maiden’s diehards (even the fanboys/girls) not often seen in fans of other bands, namely, the willingness to admit that not everything the band touches is gold, that there have been shaky albums, that there exist some songs that can rightfully be deemed clunkers. Yet that attention to detail and willingness to admit the fallibility of our heroes is set against a backdrop of the sense of their impending mortality as a functioning band. 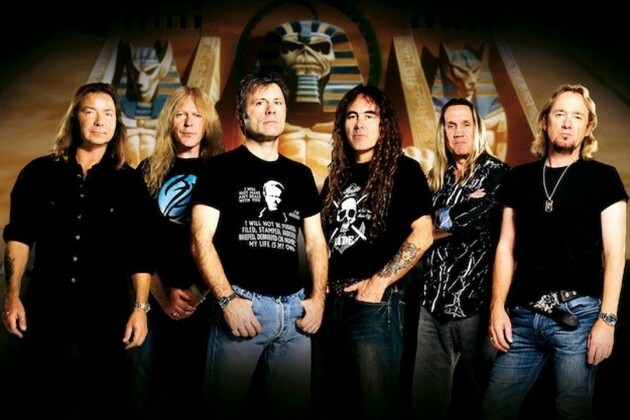 Its not clear whether or not The Book of Souls will be the final Iron Maiden studio album, but its getting late in the game, the band knows it, we know it, and consider that by the time the as expected world touring for this album is finished, another 2-3 years will have passed (at least). 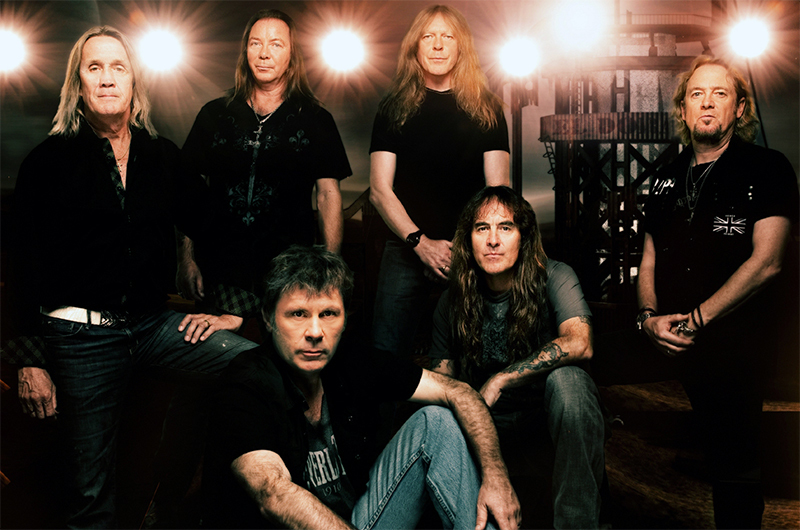 The five year gap between this and 2010’s The Final Frontier was the longest period of time in between any two Iron Maiden albums, and it was devastating in terms of the band’s future longevity. To the band’s credit, they’ve made respectable use of their post reunion time: three years separated Brave New World to Dance of Death to A Matter of Life and Death, four separating the latter to The Final Frontier… a well paced clip for a veteran metal band whose tours have become gargantuan, media-stirring events in themselves, certainly leaps better than Metallica’s two studio albums in the past fifteen years. But at some point in the future, sooner or later, we’ll read an announcement that the mightiest of them all will be calling it a day, and when that occurs thousands upon thousands of Maiden fans across the world will feel a somber gravity deep in their guts, the opening of a yearning chasm that won’t ever close. No, I don’t think I’m exaggerating. There will only ever be one Iron Maiden, a band so uniquely singular that they’ve inspired entire subgenres in their wake, and whose remaining years as a functioning unit —- for me anyway, are to be cherished and savored. Its impossible to be all things to all people all the time, and not everyone has been as thrilled with the post-Bruce/Adrian reunion as legions of others and I have. For those people, some of whom I know and respect greatly, there are still the tours to be enjoyed, but I feel a touch of sympathy for them in that they haven’t found something to love in the handful of post-reunion albums. For me, Maiden’s post-2000 studio albums have been about a veteran band that seemed strained and tired in the mid-90s finding renewed purpose, vigor, and creative vitality. They began to stretch their wings creatively, incorporating more of their oft-cited Jethro Tull influences into their songwriting and even instrumentation, as well as continuing to tell vivid and imaginative stories through their lyrics. A couple years back there was the release of a new Maiden compilation album, this one titled From Fear to Eternity: The Best of 1990 – 2010 —- and not only did I believe it to be an entirely justifiable release, but I felt that they missed a handful of gems that could’ve made the final tracklisting. So when yet another new post-reunion Maiden album has taken up residence in our eardrums, there’s a few ways that it will typically be interpreted depending on the particularity of the audience. I’ll get specific: Maiden die-hards, faithful, lifers, etc (or use your own adjective!) will rejoice and give the album the benefit of many repeat listens, understanding that the band has largely transitioned into a more progressive rock influenced direction; a sound that is light years away from say the Dianno-era revivalism of 1990’s No Prayer for the Dying. Some of these die hard fans will love every iota of the new album and defend it quite passionately, while the bulk of the others will find much to enjoy about it while conceding that it may have weak spots here and there. A handful might even lament that it doesn’t do much for them, but that they’ll keep coming back to it over time, a fair enough response. But what they will all share is an appreciation for the mere fact that a band that started producing classics before many of us were born is still around in the year 2015, delivering an interesting new album written internally among long tenured band members (no outside songwriters here), and performed and recorded with eyes and ears towards both tradition and adventure. They can relish that the band is perhaps even more popular now than they were in the 80s, allowing them to be a part of a flourishing era in Maiden history. Then there’s the cynics, mostly found online, who’ll loudly proclaim that the band should’ve retired after Seventh Son, or that any old bands still kicking around should give it up (as if ageism is suddenly an acceptable thing in metal, a genre built upon layers of tradition and acknowledging influences). Maybe this is just my thing, but I reserve a large amount of skepticism towards anyone who looks upon the very idea of a new Maiden album with anything resembling negativity —- because it begs the question: Where is their joy? What happened to their desire to be genuinely excited about new music by a legendary band, and more distressingly, are they still a metal fan at all? I’ve been pretty open about not being a Slayer fan, both here and on the MSRcast, but I’m aware of and interested in their new album. I wasn’t ever the biggest Ozzy with Black Sabbath fan (I know, look I prefer the Dio albums) but I was glad to listen to 13 and even enjoyed a good bit of it. I gave Metallica hell on this very blog about their constant delays in releasing a new album, but its largely motivated by my desire to see them make a great record again, for me to reconnect with a band that has long been a stranger to me. Its not uncommon that with the overwhelming presence of social media and its continuous stream of opinions that we’ll all get a bit jaded, cynical, distracted, overwhelmed, or just plain over it —- but when it is something that has roots in our upbringing as metal fans, don’t we owe it to ourselves to try to suppress those tendencies? Why am I going on about such things? Because the album had only been out a mere day before I saw inane, dismissive takes (mostly found on comment sections of popular metal news sites and Facebook… believe it or not Twitter commenters are actually more insightful, despite only having 140 characters to work with) disparaging the album with a single adjective or snarky remark. It was as if some people believed that their sense of perception has been honed to a finely sharpened point thanks to the sheer amount of technological distractions on their phones and tablets, and that only one cursory listen of a new album is sufficient to render an opinion. Let me assure you, that for as loaded an album as The Book of Souls is in all its 92 packed minutes, it is not anywhere near enough. I’ve just hit my 32nd play through according to iTunes, and the first thing to come to mind from what I’ve learned about the album is that your best approach is to listen to disc one and two separately, as in take a generous break in between both. This was a strategy suggested by Adrien Begrand in his brilliant Popmatters review, now confirmed and absolutely endorsed by me. He’s right, 92 minutes of dense prog infused metal is too much to digest at once, even if its Maiden, because you’ll eventually lose track of what you’ve enjoyed and what you didn’t and things might start to blur together. Be patient, give yourself breaks, listen on speakers and headphones, and listen to other things to cleanse your palette. This is not a perfect album, nor a masterpiece as I’ve seen proclaimed by many of the rabid faithful, because one thing a lot of spins in a concentrated period of time can prove is that the good stuff gets better and the not so good stuff just sticks out more. Angry Metal Guy seemed to hit the nail on the head in his recent Maiden career retrospective (recommended by the way, its terrific) when he said “I finally put my finger on the bane of Iron Maiden – an invention known as the compact disc”, pointing the finger at the band’s well-meaning yet possibly artistically detrimental attitude of giving the fans’ their money’s worth. I can’t argue with him, for as much as I’ve enjoyed the post-reunion albums I have felt that they could all benefit with a track or two left off as b-sides (if they still do that sort of thing). Also I take into account that I consider Seventh Son of a Seventh Son to be the band’s only perfect album, with its moderate LP-sized 44 minutes (also the length of No Prayer For the Dying, so LP-sized albums aren’t a perfect tonic all the time by any means). Double albums were always rare things, and now increasingly so, due largely I suspect to so many bands having the benefit of the knowledge that rarely do they ever work all that well. In interviews surrounding this release, Maiden made it clear that they didn’t care about such risks. The Book of Souls has many high points, and they all seem to share defining traits that have characterized Maiden’s best work, that is metal that is tension fueled, high energy, and played with a sense of urgency regardless of the actual tempo, tone, and volume of the song. The best of them all is one of Maiden’s most poignant in “Tears of a Clown”, their tribute to the recently departed Robin Williams. Musically its a close cousin to The Final Frontier’s “Coming Home”, a steady mid-paced groover with Nicko’s best fills and frills showcase in ages, but its lyrically where Steve’s touching lyrics really hit home: “We saw the sadness in his eyes / It came as no surprise / And now of course we’ll never know”. In his interview with the CBC radio show Q, Bruce revealed that it was only after he had finished recording the song that he found out about its subject matter, which is pretty incredible considering the performance he turns in here, emotion pouring out of every note. 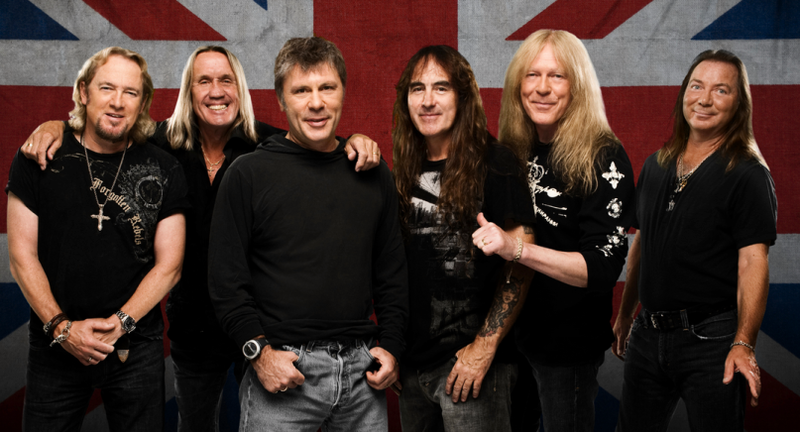 To my knowledge, Maiden might be the first band to have recorded a song specifically about Williams’ tragic passing —- its made them a lot of headlines in non-metal media outlets, so its all the more gutsy that their take on it is steeped in melancholy and even grim acceptance: “Maybe it’s all just for the best / Lay his weary head to rest / Was forever feeling drowned / Tears of a clown”. In a single succinct quatrain, Harris puts into words what many of us (certainly myself for one) had briefly considered regarding Williams. Bruce also triumphs on the album opener “If Eternity Should Fail”, which apparently started life as a potential song for a future Bruce solo album, and indeed it does structurally and musically owe more to his solo works than anything Maiden-related. Its recorded in drop D for one, a first for the band, and its entire aura seems like it could’ve fit at home on The Chemical Wedding or Tyranny of Souls. Its verses lack the traditional Maiden gallop or rhythmic Maiden march, instead relying on more traditional, straight ahead metal riffs that impact like a sledgehammer. The chorus is magnificent, you can hear echoes of Bruce’s solo writing style all throughout, particularly with the major keyed intonations during the lines “Waiting in line for the ending of time / If eternity should fail”. This might be one of my favorite Maiden album openers of all time, stormy and brooding, explosive and violent, its lyrics speaking vaguely of human mortality and the dawn of time. I wondered what the lyrics were about exactly and found Dickinson mentioning in an interview that the song was to be part of a concept album he was working on, about a machine that steals peoples’ souls (the awesome spoken word at the end is supposed to introduce a character named Doctor Necropolis). Harris was taken enough with the song to insist on it being adapted as a Maiden track, and to keep the conceptual narration ending despite it being unrelated to anything else on the album, and I agree with him, it was a great call. I will find myself wondering what it would’ve sounded like as part of Bruce’s future solo record though. Where “If Eternity Should Fail” sees the band being daring and trying new things, they still know how to sound spectacularly like classic Maiden, such as on the near flawless “The Red and the Black”. Chances are it’ll be one of the first songs to really pop in the middle of the album, a prediction reinforced by the injection of plenty of galloping bass, swashbuckling vocal swings by Bruce, dueling lead guitars on beautifully melodic motifs that usher us along to familiar “Heaven Can Wait” styled “whooa ooohhhs!”. The recurrence of that golden Maiden-ism doesn’t feel forced, because if you’ve really paid attention you’ll know that they don’t utilize it all too often —- here its a treat, a lyric-less chorus that quivers with euphoria, the kind of song I’m chomping at the bit to hear live. All three guitarists erupt in a glorious soloing trade-off towards the end, while managing to maintain the intensity of the song as a whole. Similarly in the Janick Gers penned “Shadows of the Valley”, guitars take center stage with deft, quick motifs that work as tail end outro to a vocally dominated chorus, working as a punctuation mark for the song. Gers’ songwriting contributions to Maiden’s past twenty five years have been greatly undervalued, he’s been consistently knocking out quality stuff like this. There are however a handful of cuts where either the recorded-live-in-studio approach works against the song, or where the songwriting itself needed extra work to help sculpt something better than the end result. For the former, take a minute to imagine if “The Great Unknown” were recorded with a little more in the way of clarity with regards to the guitar lines (and to a similar extent, Bruce’s vocals as well). The band has been using this quick takes / live jamming in studio recording approach since A Matter of Life and Death and while it works for the most part, there are have been moments even on that record and its followup where a little more musical definition would’ve allowed a melody to come through better. This extra definition could simply come in the form of choosing a better take (though we read reports that many of the final results were one take performances, a questionable call by producer Kevin Shirley), or by merely sitting down Adrian, Dave, or Janick to do some overdubs or track layering. For “The Great Unknown”, I’m specifically referring to the 2:23 – 3:06 mark where you can hear a trace of what this melody is supposed to be, but it sounds like its lost in the messiness of a live recording take that needed to be redone. At the 2:45 mark, the song shifts into what could be a very epic moment, but you just can’t hear it it soaring through the way it practically begs to —- its a gross miscalculation that they didn’t consider adding in a few guitar overdubs. This of course recurs throughout the song whenever this part pops up again, but if you’re interested in hearing what the actually melody does sound like, skip to the 4:10 – 4:31 mark. Its a solo I know, but hear that recording quality? Maiden’s melodies demand that kind of clarity to sound crisp and vivacious, and on studio albums they should be recorded to reflect that all the time! As for the songs that needed some extra time in the songwriting oven, there’s the strangely empty sounding “When the River Runs Deep”, the unevenness of “The Book of Souls”, and the could’ve been amazing “The Man of Sorrows” (yet another Bruce solo career reference!). Lets tackle them in reverse order: I really wanted to love “The Man of Sorrows”, but I suspect where it all goes flat is that its nicely dramatic intro verse and exceptional bridge section doesn’t explode into an expected chorus right away, instead the song shifts to yet another expanded verse section set to a bed of plodding riffs that don’t really seem to have any melodic sequence to them. By the time the chorus rolls around, the song has lost any momentum it built up with that dramatic bridge (refer to 1:54 – 2:25 if you’re wondering what I’m talking about). The atmosphere of the song is cool, the outro mirroring the intro is a nice touch, but the song never really seems to take off in the middle. The same can’t quite be said for the title track, which at ten minutes plus has enough time for some really inspired moments in small pockets, but can’t sustain itself over its lumbering length. I love the recurring bridge part, can’t say the same for the chorus however, but quite enjoyed the shift towards rampaging Maiden-styled rocker in the final few minutes. As for “When the River Runs Deep”, its not a bad song per say (kinda reminds me of “El Dorado”, but then I liked that song) but it seems to be lacking in the guitar department —- seriously, listen to that chorus, is that just one guitar blandly riffing underneath? In a three guitar band that’s the best they came up with there?! Where are the other two guys?! It ends up sounding flat and… well, lazy. And it comes as a shock and disappointment that its the two much trumpeted Bruce/Adrian co-written songs in “Death and Glory” and “Speed of Light” that first caught my attention as songs that seemed to be severely lacking. Setting aside their collaborations in the late 90s on Bruce’s solo albums Accident of Birth and The Chemical Wedding, these two haven’t actually written as a pair alone for Maiden since “Moonchild” on Seventh Son —- yes they’ve co-written on many Maiden songs since then, but always in conjunction with another band member (mostly Steve). When it was first leaked that we were going to be treated to not just one, but two Bruce/Adrian compositions, I think most of us had echoes of “Two Minutes to Midnight” ringing in our ears, a tantalizing promise of Adrian’s pop sensibilities with Bruce’s gift for lyrical storytelling. But neither of these two new songs hit upon either touchstone: “Death and Glory” seems lackadaisical, tired even, with its directionless open chord guitar blasts in the chorus making the song sound more like loose, boogie-based rock n’ roll than the soundtrack to soaring aerial combat as per the lyrics. On “Speed of Light”, the ill-advised choice for the first single, Bruce sings about space, time, and event horizons albeit in metaphysical fashion over a riff progression that recalls “Sea of Madness” from Somewhere In Time. Its does its job as a serviceable, rockin’ tune with a memorable chorus, except that its not nearly as melodic as it should be —-Bruce’s vocals straining in the chorus seem to be a pale substitute for something that’s lacking in the songwriting here. I was deaf to this song’s flaws when I first heard it premiere, so hungry for new Maiden I gobbled it up and loved every second of it —- but its in context with the rest of the album where its overall deficiency is exposed. I figured I’d save any words for “Empire of the Clouds” for last, considering that it very well could be the final Maiden track we ever get. Its a doozy, a Bruce solo-penned eighteen minute long epic about the ill-fated 1930 maiden (no!) 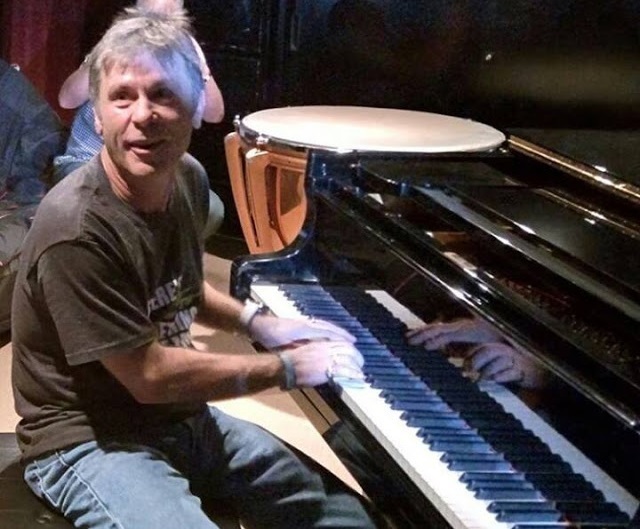 voyage of the Airship R101 composed on keyboard and actually recorded by Bruce himself on piano (!) in the studio. The subject matter isn’t surprising, as a tragic story about one of the worst accidents in aviation history seems fitting for Maiden and even more so considering Bruce’s piloting career. Its a spiritual cousin to “The Journeyman”, the band’s first acoustic guitar based cut from Dance of Death, but here Maiden supplements Bruce’s piano with electric guitar figures that softly echo melodies or complement them. On paper that sounds like it shouldn’t work, and to a certain extent it doesn’t —- because not even a fifteen stanza long lyric demands eighteen minutes of actual running time. There are some moments towards the end that could’ve used someone saying “we can lose this bit, and this other bit here”, but alas, this is Maiden, and this song is why The Book of Souls is a double album. That being said, I really do love this song, its first few minutes are delightful, beautiful and rich in their simplicity. Dickinson’s lyrics are inspired, he’s clearly in love with the source material. The dynamic band interjection at 8:35 is tremendous, the guitar melodies at 10:34 are flag-wavingly epic — it all just comes together really well. There’s so much to love about it, I can forgive the extra minute or two they should’ve shaved off. Its a song that deserves your time, attention, and most importantly patience. I suppose I could say the same thing about the entire album though, because even all those extra listens and delays in my reviewing the album as a result didn’t cause me to ignore its errors. Setting aside the issue of length for a second, I think this is the album where the idea of recording live as a band in the studio and keeping the mistakes has run its course. Nicko stated in a recent interview that he loved that there were little drumming mistakes in “Speed of Light”, and other musical errors in other parts of the album, that they added to the “vibe”. I disagree entirely. Leave the live performances for the stage, and sit every individual member down in a chair with their instrument and carefully record their parts, record overdubs, simply record carefully! Let the songwriting take care of the “vibe” the next time around, it worked for twenty plus years for god sake! Put in context with its similarly recorded successors I’d have to rank this one a bit below The Final Frontier and A Matter of Life and Death, despite those albums’ both needing their own bit of overdubs and length editing. Speaking of length, Angry Metal Guy was right: Maiden’s great achilles heel in the CD era is their inability to discipline themselves and self-edit. That being said, I find myself willing to take all the extra minutes and seconds I can get… because I feel there’s a sense of finality ringing somewhere distant. I really hope this isn’t the last one, this band has so much more to say, so many great songs left unwritten. But all things come to an end, and if The Book of Souls is that end, I’ll be okay saying bon voyage. ← Reviews Cluster Summertime Edition Pt 2! : Symphony X, Powerwolf, and More! Hey MP how do you compare this to the similarily sprawling Beyond the Red Mirror? I find TBoS to be their most enjoyable since Dance of Death, but you do get the feeling that these guys don’t think they have anything to prove anymore. They apparently just can’t be arsed to painstakingly edit, overdub and do all those things that yielded the compact epics of their best days. I still find that a bit of a shame, since as many have noted, the roughness and ‘live in studio’ approach doesn’t exactly work in the record’s favour. And the truism that any double album in history can be improved by trashing the inferior cuts and putting the rest on a single disc rings very much true in case of Maiden’s latest. I am also bothered by some examples of lyrical cliches here; The Red and the Black – why no mention of the Canadian Mounted? Death of Glory? Just another story! The less said ’bout the repeated titles from Dickinson’s solo career the better. There is some borderline goosebump-inducing material here (such as the chorus of Eternity Shall Fail, as you have rightly noticed, the climactic bits of The Red and the Black and the title track) but patience is required to get to them. Interesting comparison with the Blind Guardian album, which clocked in at 77 minutes —- sprawling in its own way but still below the 78:59 barrier (citing the bold sticker Metallica slapped onto new copies of Load of its running time, as if boasting about how no one saw fit to delete a song like “2 X 4” was something to be proud of). In all seriousness I actually had less problem regarding the sprawling nature of the new Blind Guardian than I did with this new Maiden, mainly because at least they have cause for such a long album length, namely that its a concept album. In fact the standard edition is only 65 minutes, its the earbook (deluxe) edition that brings together all those extra “bonus” tracks to make it 76:42. Quotes on the word bonus because a song like “Distant Memories” which was left off the standard tracklisting is still part of the album’s storyline, reinstated smack in the middle of the tracklisting on the earbook version, and its also the best song on the album. Beyond the Red Mirror had a lot going on as well, many songs where there was a distinct lack of repetition (not always a good thing), the inclusion of two actual orchestras, choirs, etc, etc. But The Book of Souls is not a concept album, as Maiden have very vehemently pointed out. The only reason it physically has to be a concept album is to fit in “Empire of the Clouds”, all the other songs could have fit on a single disc, hence the partition of the album at track six out of an eleven track album —- it looks a bit more planned out even if its not. Somehow I doubt Rod Smallwood was readily okay with the idea of a double album. So with it not being a concept album, theoretically it could’ve been an easier edit than Blind Guardian’s new one (where they did edit it for the standard edition, painfully so). Yeah I’m with you basically, I would lay the blame at Kevin Shirley, yet I think he’s just as much beholden to their stubbornness as anyone. They could’ve used a change of producer at some point, but that’s never been their style either. It really is the case that you have to take the bad with the good regarding their stubbornness about certain things. Just started reading your review. Just wanna say that the new album rocks and personally… I’ve LOVED everything they’ve done since Brave New World. Long live cap’n Bruce A’s Up The Irons forever!!! Yeah on the whole I’m good with the album, not as excited about it musically as I was with The Final Frontier where I thought they were really getting into some interesting Somewhere In Time era inspired stuff though. Maybe I’ll do a Maiden retrospective one day and cover all the older records. I was surprised they bothered to make a comeback with Brave New World and I’ve share the same sentiment of your statement ever since. I don’t have any expectations of them anymore; but the fact that they manage to put out quality releases at this stage of their career is astounding. I welcome any new record even if its just an Ok one. They already are legends. I’ve been a long time follower of your blog and really appreciate your thoughtful, eloquently written reviews. Thanks! Yeah its a bit scary to think of a world without Maiden, Ive never known it! Was really looking forward to your review and I wasn’t disappointed. I knew it would be objective, something I feel the likes of Metal Hammer etc seem loathe to do regarding Maiden. I think its got a couple of fillers and as a single cd would probably have been the best of the five albums since they reformed and like JW I love them all. But having said that its great in this time of cherry picking mp3s off itunes etc the band go completely in the opposite direction. That’s worth another point, so its a 9/10 for me. Best tracks are as you say, The red and the black, Empire of the clouds and If eternity should fail. Given time though much like AMOLAD that could change as this albums a grower. Maiden were the second band I saw live back in 81 on the Killers tour and have been a constant in my listening and gig going ever since. Like you I embrace everything they do now as if its their last. When they do call it a day it will leave a void that will never be filled. I hopes its a while away? Finally, yes the Dio > Sabbath albums are the best lol. Thanks! Ive read the Metal Hammer review, they seemed very forgiving of certain mediocre songs… I think they outta realize its okay to be critical and appreciative at the same time. Adiren Begrand of Popmatters/Decibel gave it a highly rated review but I trust him to be judicious, he puts in the time for repeat listens. I was so looking forward to this one after all the hype but unfortunately it feels to me that’s what it was: just hype. I’ve been a Maiden fan since I was 13 (now almost 42) and I was disappointed. It’s too long, too bloated, and many of the songs aren’t even that memorable. Speed of Light was a horrible choice for a single, mainly because the song was atrocious. There are some good ones like If Eternity Should Fail, Shadows of The Valley, and Empire of the Clouds but the rest, I don’t even remember the chorus which is not a good thing. I listened to it a few times hoping it would grow on me, but it hasn’t happened yet. All these Maiden fanboys are hailing this thing like its the second coming of Christ but I don’t get it. Maybe it’s me? Haha, you are correct that there is a loud hype contingent among Maiden fans for the album, which I don’t really have a problem with (some people can be so in love with a band that they’ll ignore their shortcomings…. I think acknowledging shortcomings makes you a better fan, but anyway). My main hope is that I’ll be able to come back to it a few months down the road (because I seriously need a break from it right now) and still enjoy it like I did with The Final Frontier and AMOLAD. Yeah holy smoke is a clunker but it makes me smile because i always remember the music video! I really like your review. I noticed The one thing that you said about how undisciplined Maiden seemed to be in the studio at times. I think Maiden miss Martin Birch. With Birch, Maiden were much tighter and the songs more refined. I really think he pulled Maiden; and particularly Steve Harris, into line. I have not been a big fan of their last three albums (I still consider myself a huge fan, I saw them twice on their recent Australian tour) I think BOS is the best of the last three, but it still does not excite me that much. I get the impression that Kevin Shirley pretty much does as he is told. I think Maiden need another producer like Birch. Yeah they went into their relationship with Birch kinda in awe of him considering his past producer credits. He was tough on them too, recall the stories they told in those various History of Iron Maiden dvd documentaries where they talked about how he’d come down on them like a hammer, Bruce in particular. The self-producing experiment after Birch retired after Seventh Son was essentially a disaster, and I do feel they were partially receptive to Kevin Shirley’s ideas when they convened for Brave New World —- the problem was that Shirley’s ideas were to record the band live. No no no no no no no. I mean, its not the worst end result, because they’ve been embellishing these live band recordings with individual instrumental overdubs —- but when a band forges a sound on records that were tracked individually and with carefully honed precision, you don’t suggest that they lay down the friggin rhythm beds (and some of the leads!) as a live band recording. Maiden weren’t The Black Crowes, whom that technique was perfect for (he used it with them for By Your Side), and just because veteran rock bands that he produced in the 90s were looking to grit up their sound (Aerosmith, Dream Theater, to a lesser extent Journey on Trial By Fire), that didn’t mean that Maiden deserved the same approach. All that said, for as muddy and murky as Maiden’s Shirley productions have been, I thought there are plenty of moments where he gets it right —- and The Final Frontier is one of those albums with a few songs like “Star Blind” and “Coming Home” and “Isle of Avalon” really sounded great. Book of Souls is touch and go production wise —- I really just wish they’d allow Roy Z a chance at their next album, seeing as it might be the last. I know he could do wonders with them, but Maiden and Steve in particular are creatures of habit. Comfort is probably a big factor at this point in their career. You clearly have a real appreciation for Iron Maiden, which made your review interesting and enjoyable to read. I agree with you on most points, though I think I would go so far as to call Empire of the Clouds and the Red and the Black masterpieces. Thanks David! Hope I’ve written more stuff you like! Yeah, I will say that I suspect the songs they play from it live when I see them in Houston in a few months will be better than the album versions, seems to work out that way.